It's Hump Dayyyyyyy! 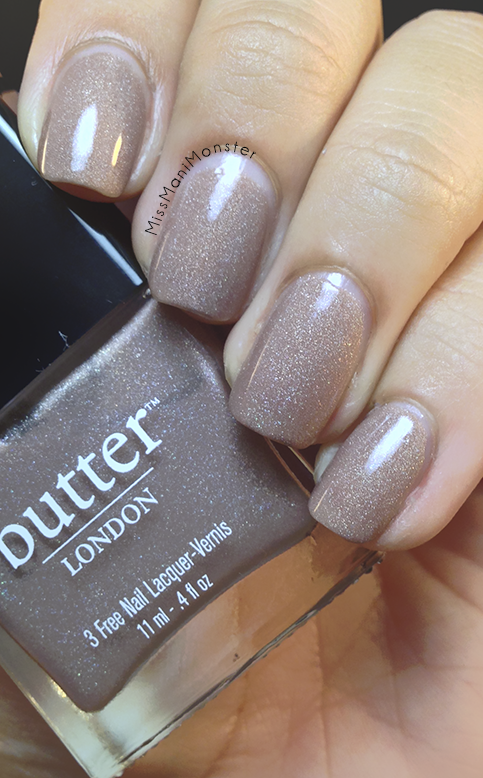 I have some prettyprettypretty Butter London swatches for you; seriously this polish never ceases to amaze! 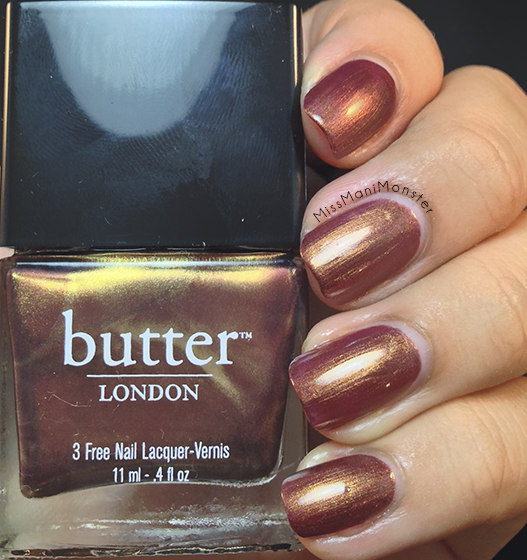 First is Trifle, an opaque plum base that has a gold shimmer to it. Two coats for opacity, and topcoat for shine! 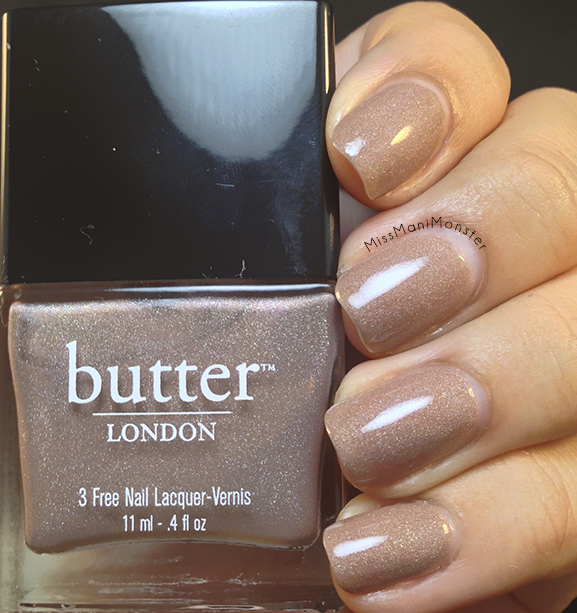 The other is my favorite of the two, and it's called All Hail The Queen, a holographic beige polish. 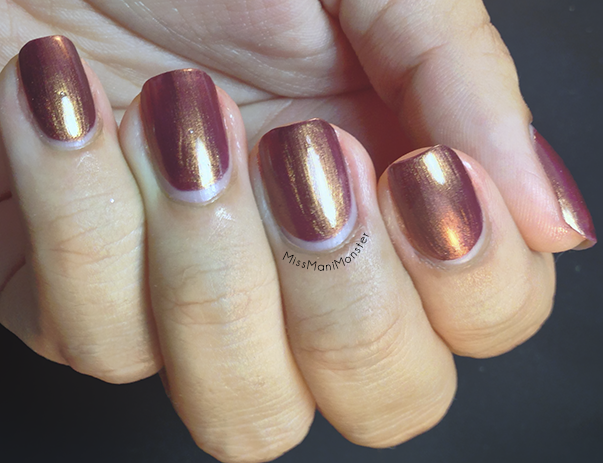 Opaque in two coats and perfection with topcoat! 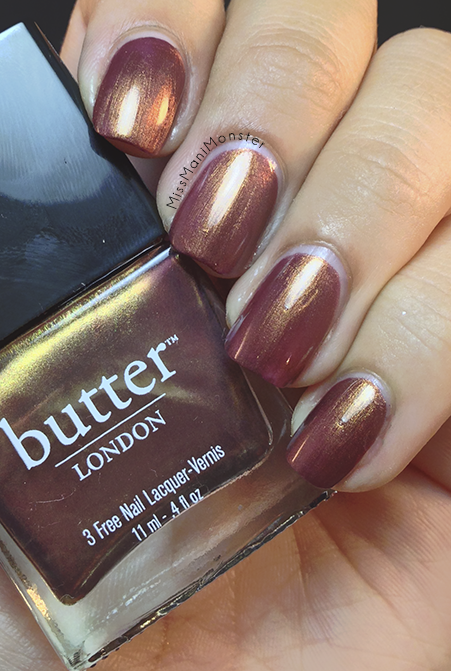 As always, you can check out Butter London online and on Facebook!